Portaria (Greek Πορταριά) is a traditional village situated in the Pelion mountain range, in the prefecture of Magnesia in Thessaly. It is one the biggest villages of the region (population: 1,327 inhabitants as of 2001) and it is built at an elevation of 650 metres, on the west hillside of Pelion, 13 km north of the city of Volos. The region of Pelion is of outstanding beauty, and it is no wonder why in Greek Mythology it was thought to be the summer home of the Olympian Gods. 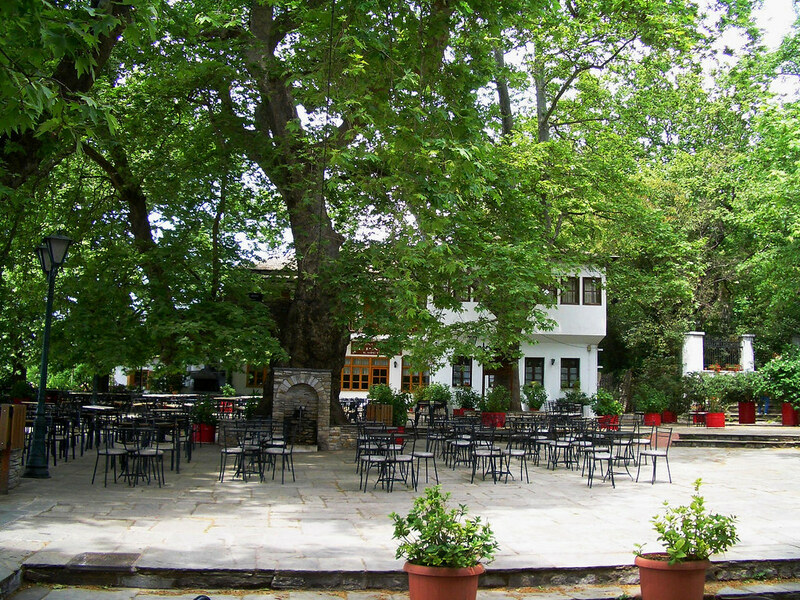 Portaria together with its neighbouring village, Makrinitsa, are characterised as traditional villages of exceptional natural beauty. The houses in Portaria are traditionally built with flagstone roofs and they resemble those found in villages in the region of Macedonia in Northern Greece. The village of Portaria flourished in the past, while, nowadays, it is a very popular holiday destination for any time of the year, as it is situated on the mountain, only 14 km from the nearest ski centre, and at the same time less than one hour away from gorgeous beaches, such as Kala Nera in the Pagasitikos Gulf and Mylopotamos (Tsagkarada) in the Aegean Sea. The blue markers shows the location of various accommodations in Portaria. The letter in the marker describes the accommodation types: H for Hotel, A for Apartment, R for Resort, B for Bed & Breakfast and O for Other (e.g. pension, villa). Click on the blue marker for more information on the accommodation.